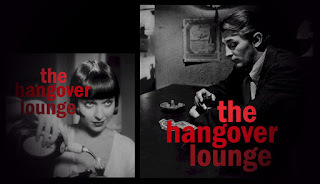 Ore piccole all'Hangover Lounge, complici anche Louis Philippe e Would-Be-Goods... Hic! Where Did This Begin? propone uno sguardo retrospettivo a quanto prodotto dagli svedesi Testbild! in dodici anni di attività, pescando cronologicamente da album e singoli della discografia ufficiale, rarità, prove sparse, tracce nascoste, collaborazioni di lustro e riletture di brani altrui. Senza tralasciare alcuni capolavori assoluti (gli estratti da Imagine a House e Aquatint, En gång i Stockholm, Astroboy, l'intero The Ocean Tango). Si ottiene gratuitamente tramite Bandcamp, ed è uno dei regali più preziosi di questo Natale. Where Did This Begin? is a Testbild! 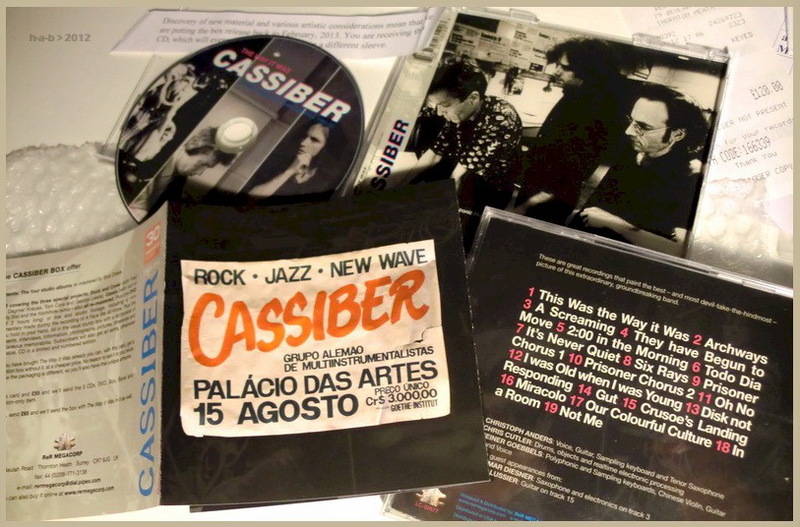 retrospective album, an addition to the book 'Where Did This Begin?' which is to be released in January 2013 by Bläck Charm Nostalgi Vassa Tänder. Songs recorded and/or released between 2000-2012. Bear in mind that this album is not to be considered a 'best of', but a chronological presentation of the various styles and costumes Testbild! have tried on over the years. 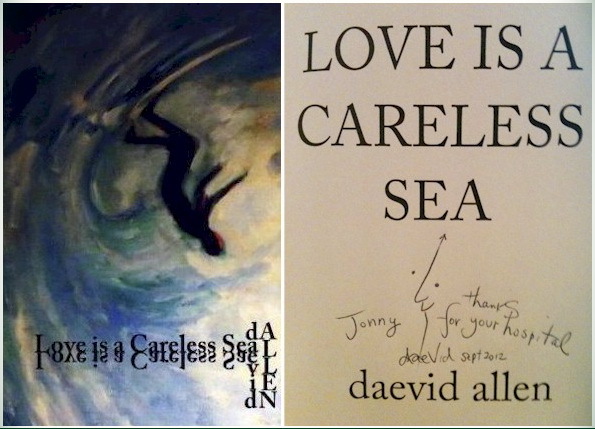 Love is a Careless Sea è il titolo di un nuovo volumetto di poesie di Daevid Allen, con disegni illustrazioni e una trentina di titoli quali Back From Touring, O Death I Shall Not Die For You, Madame Zero, I Am Your Political Experiment, Giants of Science, Seasonal Adjective Inventory, Triangular Dream, History & Hope e Broken Mouth Ocean Dream. 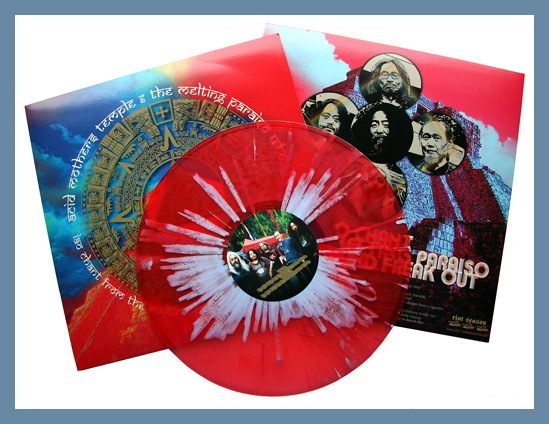 'IAO Chant From The Melting Paraiso Underground Freak Out' finds the band revisiting the past and once again taking Gong's infamous 'Om Riff/Master Builder' to soaring new heights. This is a completely new version/recorded in a new Japan, one still coming to terms with recent catastrophic events. 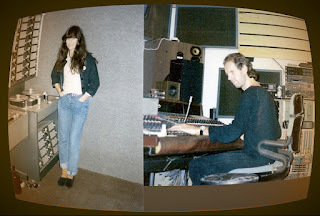 Split into two almost equal parts, 'OM Riff From The Melting Paraiso U.F.O. Parts 1 & 2' this is the sound of a reinvigorated AMT playing some of their most up-tempo and groove based music for some time. The laid back nature of last years acclaimed 'The Ripper At The Heaven's Gates Of Dark' opus is put firmly aside, in favour of some heads down cosmic riff heavy freak-out. Cooler than cool. Per Natale quest'anno va in vendita l'opera omnia dei Residents: Ultimate Box Set, ogni cosa prodotta dal gruppo, le prime edizioni di cd, dvd, audiocassette, cd-rom, libri, album, singoli, ep, promo, picture disc, qualche poster e t-shirt, i materiali rarissimi degli esordi e perfino un bulbo oculare originale (usato), il tutto convenientemente stipato in un capiente frigorifero. Una strenna natalizia davvero esclusiva, disponibile in soli dieci esemplari (frigorifero compreso). Il prezzo è conforme: lo annuncia Randy Rose in http://vimeo.com/53441332. Ci si consoli scaricando gratuitamente dal web la versione aggiornata al 2012 del super-classico Santa Dog, da molti ritenuto l'atto di nascita ufficiale del gruppo, nel Natale 1972. 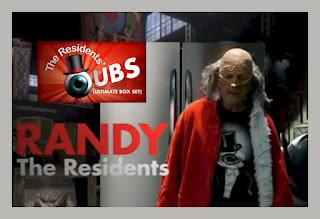 Launching the celebration of their 40th Anniversary, The Residents are proud to announce the soon to be released UBS - or Ultimate Box Set. Packaged in a 28 cubic foot refrigerator containing releases spanning the group's entire career, the UBS holds well over 100 different products including 40 vinyl LPs, 50 CDs, and dozens of singles, EPs, DVDs, and CD-roms plus other releases. In addition to this vast array of music products, each box set will also contain one of The Residents' signature eyeball-with-top-hat masks. While the UBS is priced well beyond the reach of most consumers, it should be noted that the intended market for the box set lies within the realm of fine art. Indeed, most people are unaware of The Residents' renown in the world of museums and art galleries, but considering their current installation at the Shanghai Biennale, as well as their many exhibits at the Museum of Modern Art in NYC and performances at the Pompidou Center in Paris, Lincoln Center in NYC and the Chicago Institute of Contemporary Art among others, The Residents' reputation in the art world is undeniable. Only ten of these sets will be created and it is expected that most will be sold to various museums around the world, but serious collectors are also encouraged to inquire. 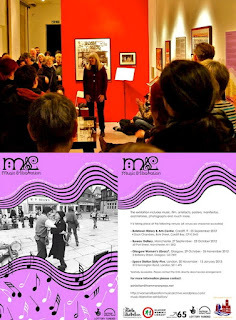 All'inaugurazione pochi giorni fa a Londra della mostra Music & Liberation su musica e attivismo femminista in Gran Bretagna negli anni settanta e ottanta c'era anche una delle protagoniste del movimento in quegli anni, Frankie Armstrong. 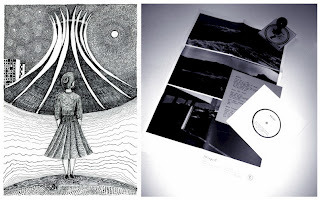 La mostra è allestita alla Space Station Sixty-Five fino al prossimo 13 gennaio, e si basa su documenti e materiali raccolti da Deborah Withers e Frankie Green, in gran parte riprodotti anche negli archivi del loro blog Women’s Liberation Music Archive. 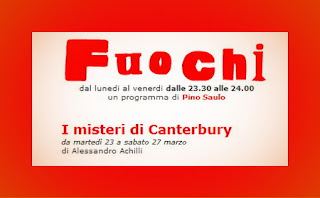 Il programma della mostra è in http://tinyurl.com/bns5caa. Music & Liberation: Women’s Liberation Music Making in the UK, 1970 -1989 shows how feminists used music as an activist tool to entertain and empower women during the 1970s and '80s. 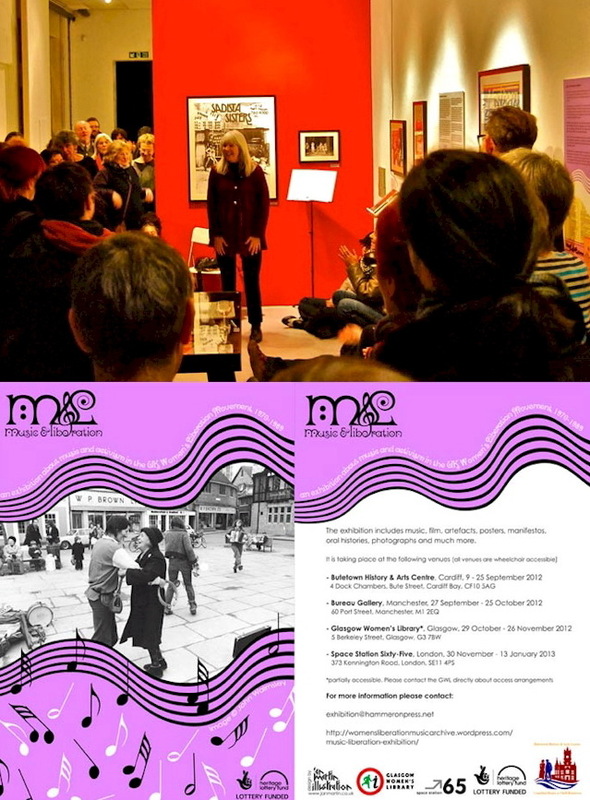 Featuring the work of Jam Today, the Northern Women’s Liberation Rock Band, Feminist Improvising Group, Ova, the Fabulous Dirt Sisters, Abandon Your Tutu, the Mistakes and many more, the exhibition brings together a diverse collection of women’s cultural heritage. Music & Liberation will inspire and inform contemporary audiences about the politics of music making. 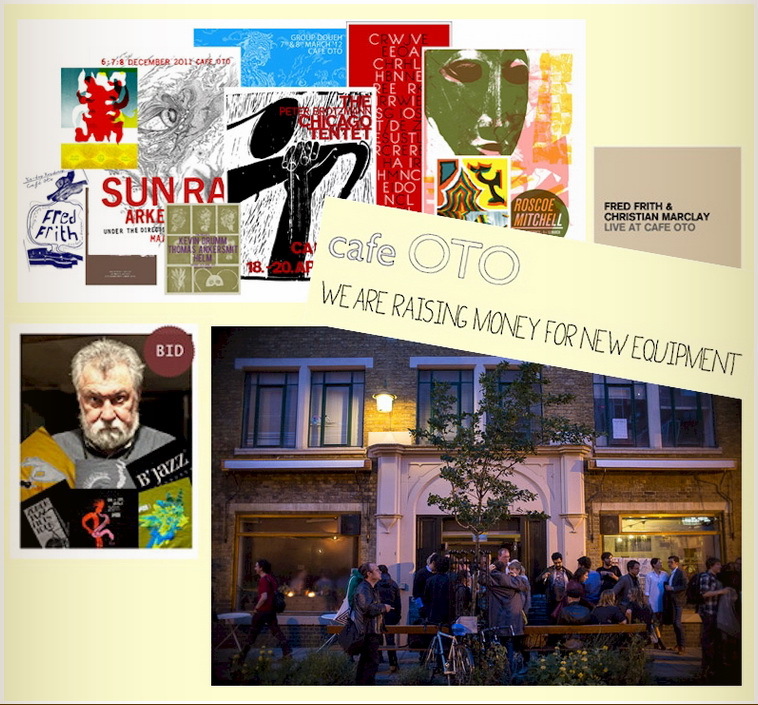 The exhibition will showcase rare ephemera and artefacts such as posters, songbooks, t-shirts, instruments and fliers. Visitors will be able to watch films, interact with installations, look at photographs and, of course, listen to music. This is a unique opportunity to listen to unreleased recordings of practices, live performances and studio tracks from women musicians yet to be discovered by contemporary audiences. Ten oral histories, which have been collected especially for the project, will also be available to listen to and watch. 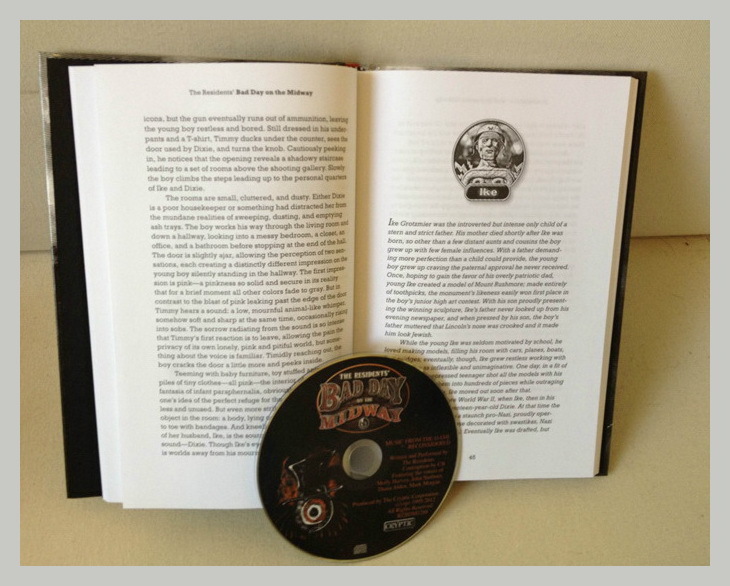 Music & Liberation: A Compilation of Music from the Women’s Liberation Movement will be sold at the exhibition. Scritto da George Burt pensando a Harry Beckett, e affidato alla Glasgow Improvisers Orchestra con una mirabolante girandola di parti soliste, tra cui quelle di Evan Parker e Lol Coxhill: Improcerto, registrato dal vivo al Gateshead Jazz Festival 2011 e pubblicato dall'etichetta Iorram Records. Spiega Burt: "The origins of this piece go back to one summer when I saw The Barry Guy New Orchestra and Peter Brötzmann’s Chicago Tentet within a few weeks of each other. 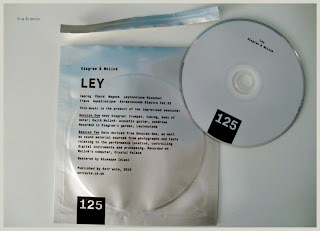 I was looking for ways that a composer (like Barry Guy) or a bandleader (like Peter Brötzmann) could organise music into a structure without inhibiting the players and promoting co-operation between them. I thought I could see one solution in Barry Guy’s graphic scores. 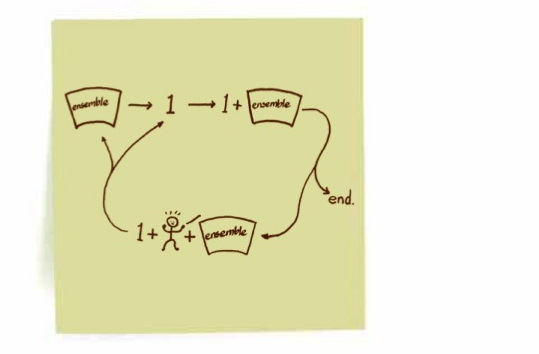 In trying to get to the essence of how these work, I drew little diagrams on scraps of paper. Symbols like a triangle for a trio passage or linked circles for a duo came quite naturally. While I was planning a more complicated piece that would bring out the useful aspects of conduction while keeping the emoting and arm-waving to a decent minimum, we got the news of Harry Beckett’s death. 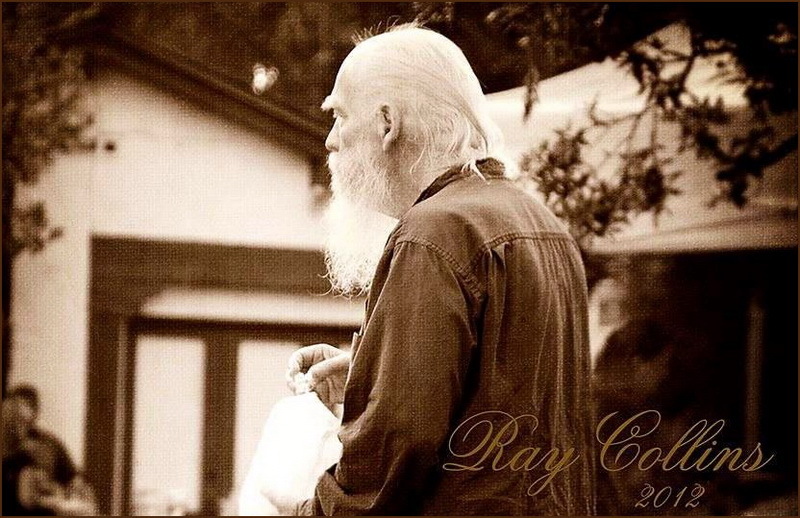 An orchestral piece with space for solos seemed a good way to celebrate his life and music, because one of the characteristics of his playing was his ability play lines which floated cheerfully over the broiling chaos of a big free-jazz improvising group. That’s the origin of the Improcerto. Evan Parker and Lol Coxhill, Harry’s old muckers, play the first two solos followed by Neil Davidson, Raymond MacDonald and John Burgess. Conducted sections are by George Burt, Raymond MacDonald, Una MacGlone, George Burt again and Peter Nicholson". In attesa dell'intero box - ora previsto per febbraio 2013 - compilato per festeggiare il trentennale, Christoph Anders, Chris Cutler e Heiner Goebbels ci ricordano com'era un tipico (?) concerto dei Cassiber nel periodo 1987-1992, nella formazione a tre: The Way It Was. 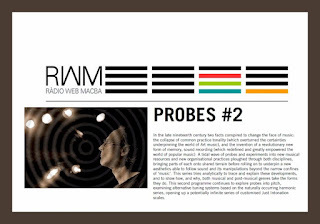 Prosegue su Radio Web Macba la diffusione in podcast della serie Probes, un'indagine su estetica e pratiche musicali del ventesimo secolo curata da Chris Cutler. 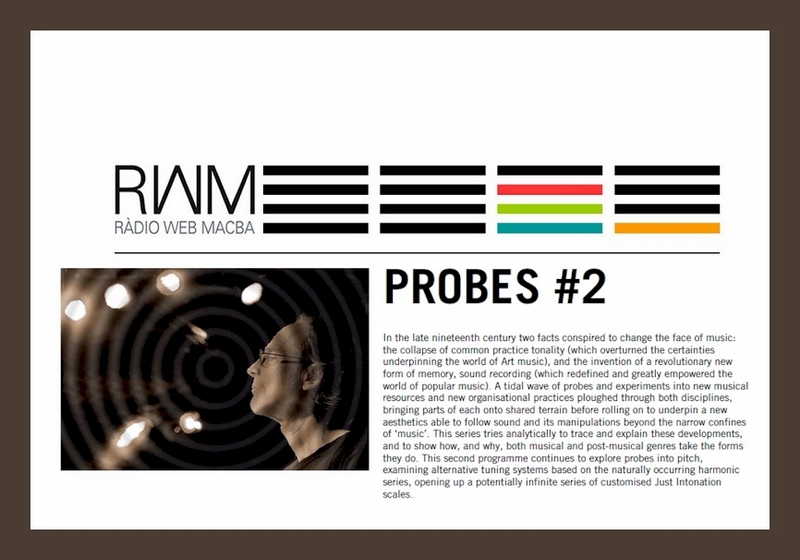 Audio e trascrizione della seconda puntata, pubblicata lo scorso 30 novembre, sono negli archivi web del Museu d'Art Contemporani a Barcelona. Prende il via domani un breve periodo di residenza artistica di John Greaves al club Le Triton a Les Lilas (Francia), nuova fase di un articolato progetto sulla vita e l'opera del poeta Paul Verlaine dal titolo Verlaine-Les airs. Ai concerti serali prendono parte Elise Caron, Jeanne Added, Thomas de Pourquery, Guillaume Roy, Léon Milo, Olivier Mellano e Eve Risser, oltre a Greaves. Sue tutte le musiche, mentre l'impianto narrativo e testuale è di Emmanuel Tugny. Filmati di presentazione ed estratti dalle prove sono su YouTube. 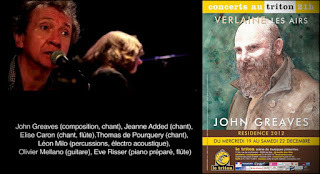 En mars 2012 débutait au Triton la résidence de John Greaves consacrée à la création du troisième volet de l'œuvre qu'il consacre à Paul Verlaine. Il s'agit ici d'un spectacle d'un nouveau genre, croisant texte poétique, musique et jeu d'acteur. Ce spectacle met en scène le vertige de Paul Verlaine, faisant ici figure d'anti héros d'avant les temps modernes, et dépeint la célébration d'une vie tordue et confuse, où le poète, alors mourant, captif de sa folie, regarde comme des spectres les vestiges de ses œuvres, tantôt amusé, stupéfié ou ému. Pour écrire le livret de ces chansons aigres-douces, malades, détraquées, d'une dernière ronde, John Greaves qui signe toutes les musiques, a fait appel au romancier, philosophe, chroniqueur et musicien Emmanuel Tugny. Il réunit autour de lui trois autres voix bien connues du public du Triton et quatre instrumentistes aux univers personnels puissants. Le spectacle "Verlaine-Les airs" est la première étape d'une série de déclinaisons déjà en chantier (pour orchestre symphonique et chœurs, pour le cirque et pour l'opéra). Son sous-titre aurait pu être "espèce d'opéra", "tragédie musicale", "récital", nous avons opté sobrement pour "les Airs". Volge al termine il tour di concerti in Scozia e Inghilterra del trio Konk Pack - Thomas Lehn, Roger Turner, Tim Hodgkinson - dopo un'assenza di oltre sei anni: la tappa di domani è a Londra, al Cafe Oto. 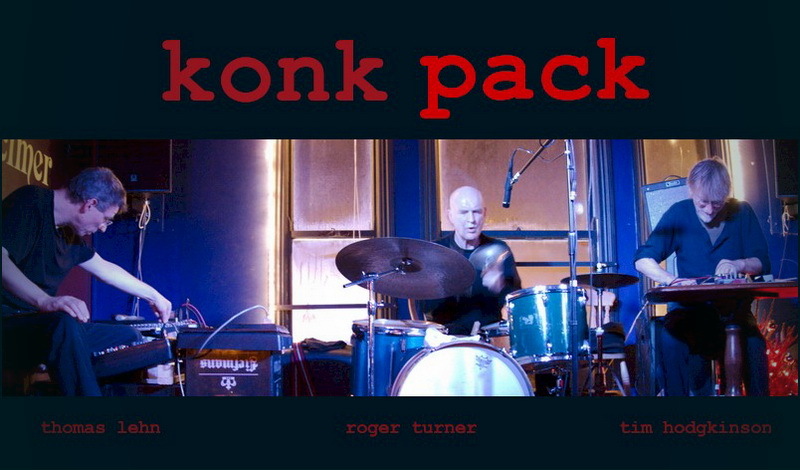 Konk Pack brings together three major figures in contemporary music. 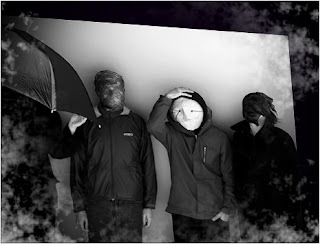 This is their first UK tour for six years. The group has amazed audiences at festivals and concerts all over the world with the sheer energy of its rapid fire interplay, earning numerous critical accolades. 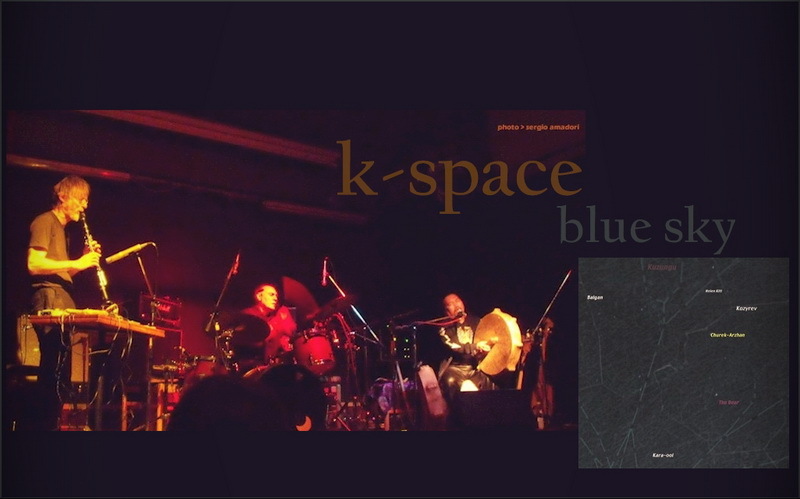 This is a band that stretches free improvisation, opening out an architecture in which shifting space and detail of sound can volcanically explode into zones of accelerated high volume electronica & sonic detritus. 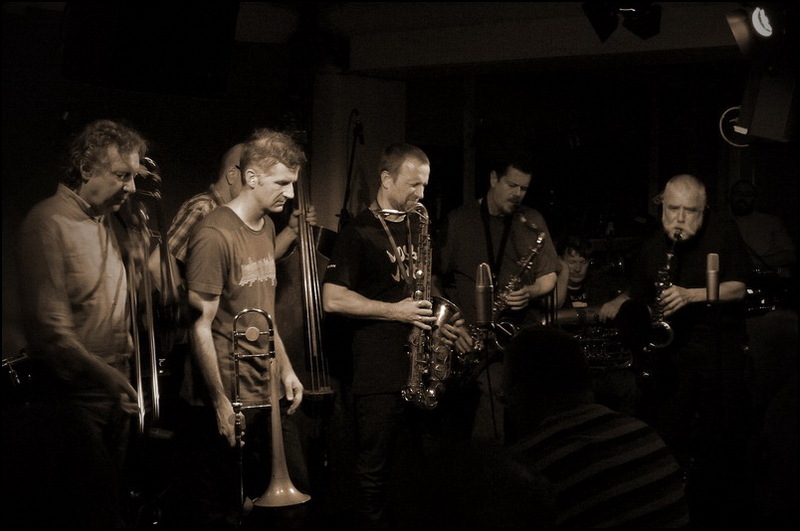 Since 1997, Konk Pack have toured regularly throughout Europe, completed three major tours of the US, and been described by The Wire magazine's Lee Henderson as "one of the most exciting improv groups in the world." Along the way, they've done a live broadcast for BBC's Mixing It, and a sold-out London concert with Derek Bailey. 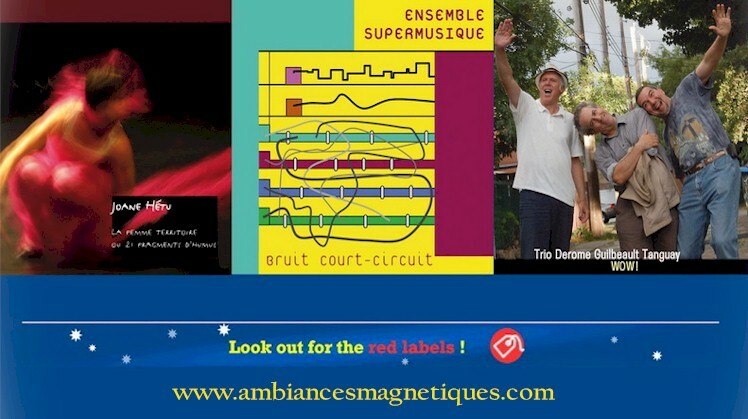 The group have released four CDs on the German label Grob, and performed at major music festivals from Vancouver to Belgrade.The musics they've made individually are reason enough to take note of this trio, but the music they make together leaves audiences amazed and inspired. 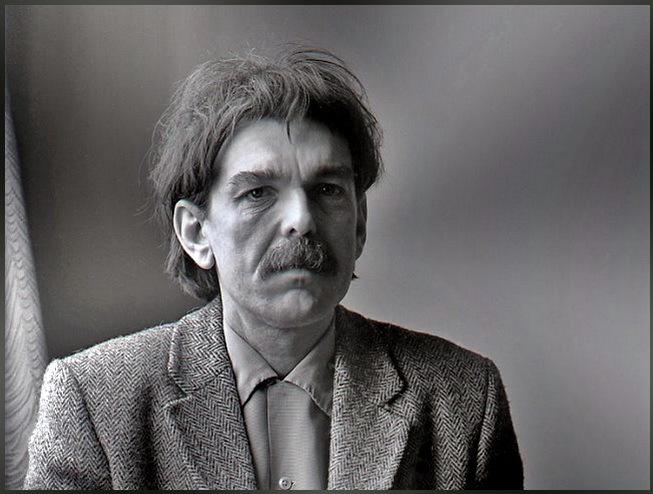 Un omaggio a Captain Beefheart a due anni dalla scomparsa: I Love You, You Big Dummy. Alexander Hawkins scrive del suo sodalizio artistico con Louis Moholo-Moholo, sulla scorta della pubblicazione in questi giorni del loro album in duo Keep Your Heart Straight, per l'etichetta Ogun: 'Don't Compromise', in Destination Out. 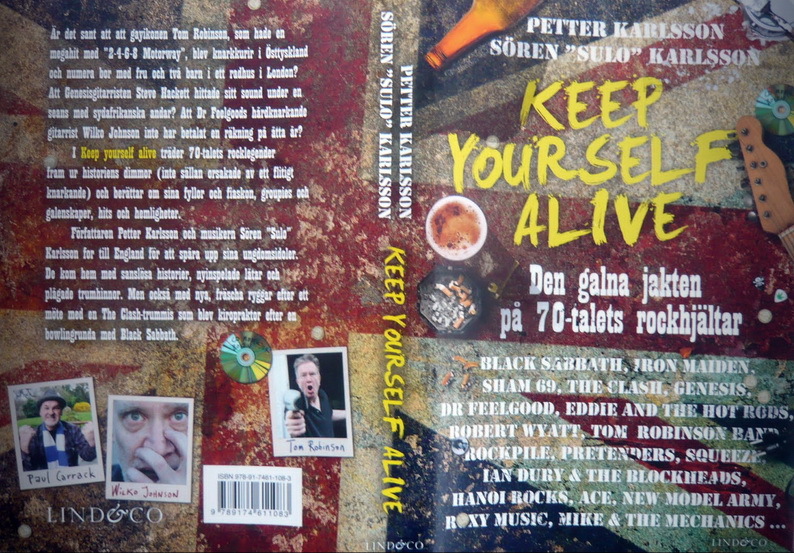 Oltre a Roxy Music, Genesis, Iron Maiden, Black Sabbath, Pretenders, Tom Robinson, Clash e Ian Dury convocano anche Robert Wyatt - per un'intervista e un contributo musicale originale - gli svedesi Sören "Sulo" Karlsson e Petter Karlsson, autori di Keep Yourself Alive. Nel testo non mancano ahimè sviste e svarioni, come segnala il blog Robert Wyatt and Stuff. Vad hände egentligen med de där profilerna i Iron Maiden, Pretenders, Genesis, Squeeze och Dr Feelgood som alla minns, men ingen riktigt längre har koll på – vad gör de i dag? 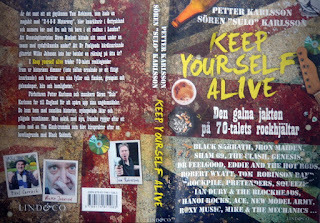 I boken Keep Yourself Alive får du svaren. Sören "Sulo" Karlsson och Petter Karlsson (som bland annat skrivit Drömelvan) har träffat några av vår tids främsta rockmusiker och intervjuat dem. Förutom alla avslöjanden och otroliga historier som boken bjuder på medföljer även en cd, där Sulo tillsammans med de medverkande artisterna gjort nya versioner av deras mest kända låtar. Kultrockikonen Robert Wyatt har till och med bidragit med ett helt nyskrivet spår, exklusivt för Keep Yourself Alive. 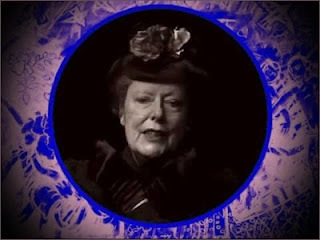 La serie Arcana prodotta dalla Tzadik è al sesto volume: i contributi sono di Duck Baker, Eve Beglarian, Karl Berger, Chuck Bettis, Claire Chase, Anna Clyne, John Corigliano, Jeremiah Cymerman, David Fulmer, Jeff Gauthier, Alan Gilbert, Judd Greenstein, Mary Halvorson, Hillary Hahn, Jesse Harris, David Lang, Mary Jane Leach, Steve Lehman, Steve Mackey, Rudresh Mahanthappa, Denman Maroney, Brad Mehldau, Jessica Pavone, Toby Picker, Gyan Riley, Jon Rose, Steve Schick, Jen Shyu, Dave Taylor, Richard Teitelbaum, Julia Wolfe, Kenny Wollesen, Nate Wooley e Charles Wuorinen. 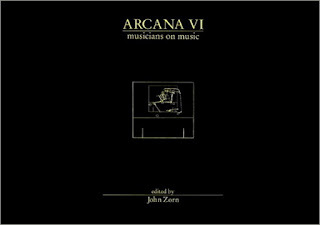 The acclaimed Arcana series is a small step toward educating the interested listener about the inner workings of the artistic process and is a major source on new music theory and practice in the 21st century. 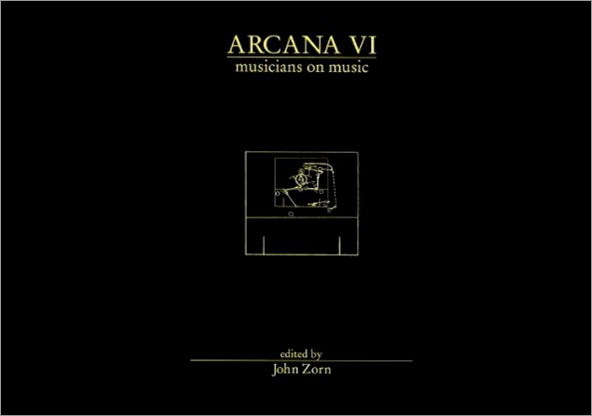 Rather than an attempt to distill or define a musician’s work, Arcana illuminates via personal vision and experience through manifestoes, scores, interviews, notes and critical papers written by the practitioners themselves. Essential for composers, musicians, students and fans alike, this challenging and original series provides insight into the work, mind and methodologies of some of the most remarkable creative minds of our time. Nel 1995 era un pastiche multimediale in cd-rom pensato per Windows, ora è un libro con la trascrizione di gran parte delle storie parallele previste dal gioco originale e tanto di colonna sonora rivista e aggiornata ai giorni nostri: Bad Day on the Midway, dei Residents. "In this multimedia extravaganza, you take on the role of a little boy named Timmy who visits a run-down amusement park. Quickly you learn that all is not well on the midway -- intrigue, blackmail and murder are everywhere. To survive, you have to leave Timmy at one point and "soul-jump" to other persons by clicking on them. Each of the characters on the midway has their own story, each illustrated by a different comic artist. Some of the stories can be learned only while playing Timmy; others, by visiting different attractions. Soon it becomes clear that every character is following a separate agenda. inSCAPE, the company that produced the games, have made sure no two games can be the same, and you won't be able to see the entire story in one play -- or even in ten. It's best not to approach Bad Day on the Midway as a game, but as a multimedia experience -- try to see as much as you can in one go. If you do, the story will slowly start to emerge". Gli svedesi Testbild! partecipano al progetto collettivo Bläck Charm Nostalgi Vassa Tänder, interpretando un brano del compositore polacco Krzysztof Komeda, Ballad for Bernt, nel cd che accompagna il libro 'I hear a new world: 1958-1962'. A parte, e in proprio, il leader del gruppo Petter Herbertsson confeziona il prezioso Sternpost, gioiellino in vinile in soli 99 esemplari su etichetta Kalligrammofon, disponibile anche in formato digitale via Bandcamp. Sternpost is a plunge down into a crystal clear deep-sea trench, a voyage out onto a restless sea where the horizontal line is erased and the sky merges with the crests. A creaking ship, sails torn. Sternpost is the new moniker of Petter Herbertsson (Testbild!). The self-titled debut release is a seven-inch EP limited to 99 copies, bundled with a poster that measures 366x549mm. Ancora pochi giorni per partecipare alla End of the World Sale promossa da Leo Feigin per la sua Leo Records: "Before we all perish on 21.12.2012 Leo Records offers a unique opportunity to all music fans to find out more about the music on this legendary label. Who knows, may be this music will make your transition into a different reality much smoother. Apart from that, you cannot find a nicer and cheaper Christmas present for your friends and relatives!" Tre nuovi Ambiances Magnétiques e una nutrita lista di titoli a prezzo speciale, fino al 7 gennaio 2013: al sito di Actuellecd ('La boutique des nouvelles musiques'). Novità in casa Recommended: mini-aggiornamento al catalogo di dicembre 2012, con i box di Cassiber e Jon Rose in bella evidenza; riorganizzazione del sito centrale ReR Megacorp per la consultazione e l'acquisto dei titoli negli originali formati cd e lp; inaugurazione del nuovo sito ReR Downloads per l'ascolto e l'acquisto dei titoli in formato digitale. Con l'invito a collaborare per migliorare il tutto! 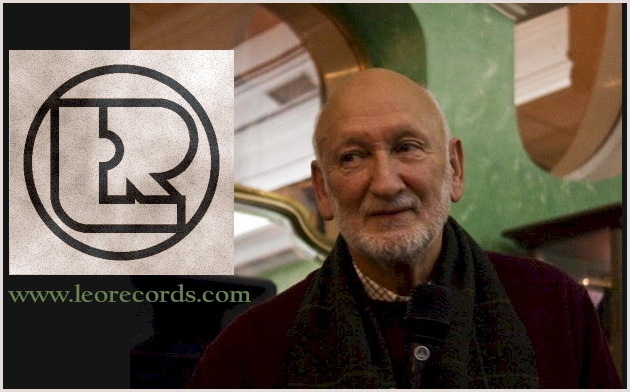 "ReR was set up in 1978 by Chris Cutler (myself) and Nick Hobbs as an independent label and distribution service. 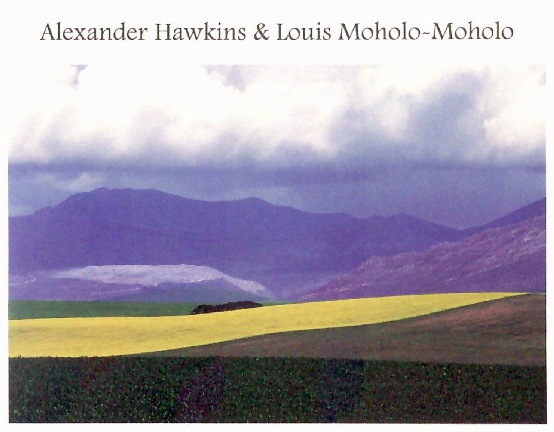 The idea was to find and make available recordings from around the world (on numerous independent and specialist labels, including some rare and hard to find limited editions) which embodied the most interesting, experimental or important work in the musical field I cared about. It’s opinionated. 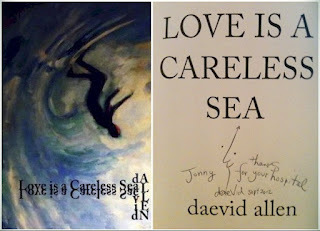 I have tried to explain my choices in the notes that accompany each title - which are reviews rather than promo. We don’t deal in narrow genres but look for what’s unusual across a very wide field. 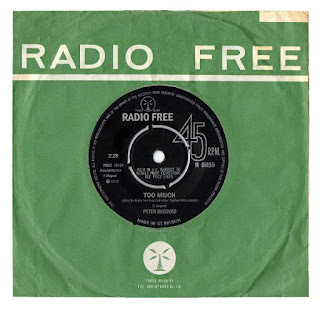 And since, with the worldwide web replacing record shops and the music press, certain kinds of music have, paradoxically, become harder rather than easier to find, our work of finding and selecting is, I hope, still useful, time saving and might be a source of serendipitous discoveries. By being strict with our choices, we hope to earn enough trust that you try things you don’t know as well as things you do. 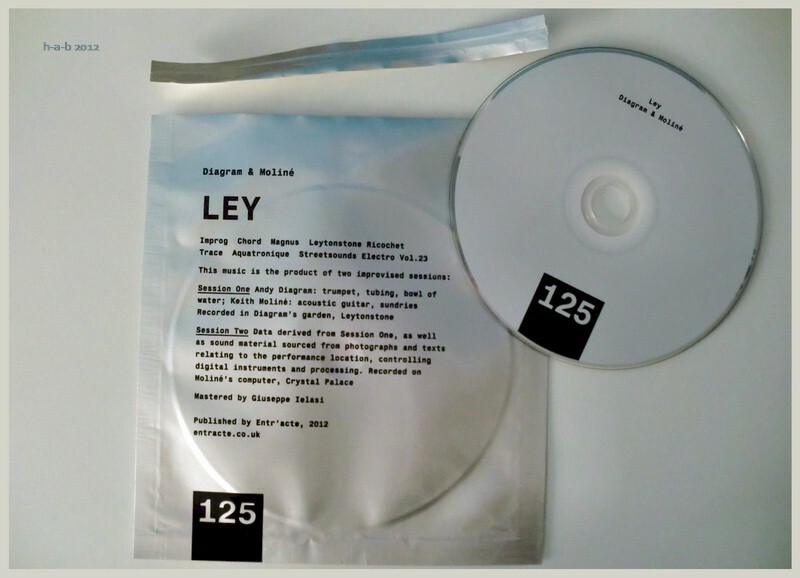 You can listen to every track of all the ReR label titles, which are also available as mp3 and FLAC downloads: the 'listen' and 'buy as download' links take you to the ReR Download site, where you can buy both ReR downloads and physical CDs. ReR is an artist run label and distribution service; we are beholden to one and we work only on the basis of musical judgement. Commercial considerations don’t get a look in. Although we keep everything as cheap as possible, musicians have to live and we aren’t going to squeeze them: We want more music; they need encouragement. We try to be an unbusiness, but we don’t do bad business; we try to act is if the world were as it should be, we do know how it is." Splendido omaggio a Jon Rose in occasione dei suoi sessant'anni, compiuti l'anno scorso: Rosin, variegato campionario in 4 cd di lavori e progetti recenti e inediti, impensabili e impossibili ai più - come un duetto con un uccello lira del Principe Alberto - con oltre cinque ore di file audio e video, dediche, annotazioni, scritti e saggi di colleghi illustri, immagini storiche dal Museo Rosenberg e una messe di vari altri documenti. Il box è prodotto da ReR Megacorp in soli mille esemplari, con tanto di autentico crine d'archetto da violino incluso in ogni copia. 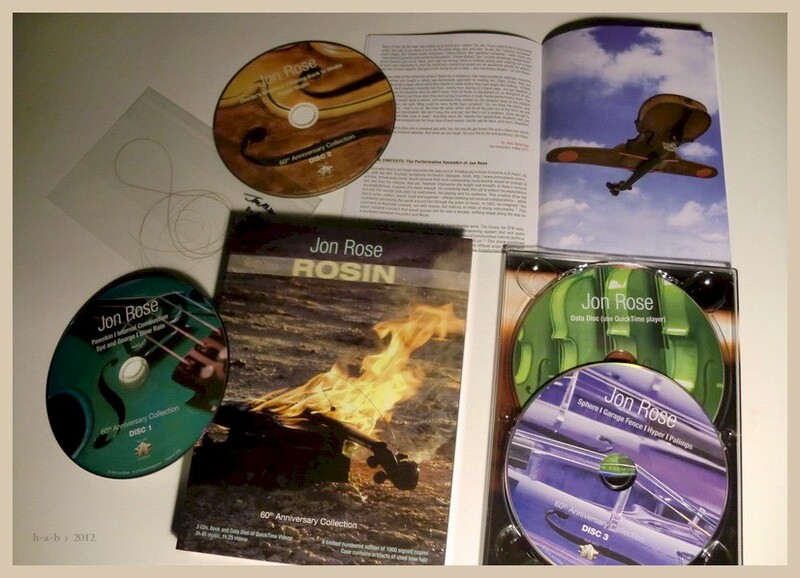 Così lo annuncia Chris Cutler: "Jon Rose is one of the most productive, original and focused people I know; he’s also an extraordinary musician and an inspired composer. To mark his 60th anniversary we are releasing this 3 CD box of previously unreleased works ranging from radio documentary and radio fiction, virtuoso performances - taken from all manner of contexts, using both the acoustic violin and the hyperstring interactive bow system. There’s a remarkable improvised violin concerto (the rest of the mini-orchestras’s parts are written out), as well as collaborations with Australian locals (multiple brassbands, musical whips, lounge pianists, aboriginal choirs, orchestrated corrugated iron, musical gum leaves, auctioneers, chainsaws, singing dingos, bowed saw orchestras, and so on); there’s a duo with George - an Albert’s Lyrebird - and concerts with contemporary ensembles and heavy earthmoving equipment. Accompanied by a great deal of extraordinary visual and some purely audio material collected together on a supplementary data disc, comes with a generous booklet of texts, documents and photographs and, of course, a souvenir sample of bow-hair." Setola di Maiale produce il nuovo album dei K-Space (Tim Hodgkinson, Ken Hyder e Gendos Chamzyryn): Blue Sky, tratto da un concerto a Catania nel 2009. Dallo show n. 18 - Eighteen with a Bullet - dello scorso gennaio, proviene il nuovo singolo 'virtuale' di Peter Blegvad per Radio Free Song Club: Too Much. Radiotre Suite Jazz trasmette i tre concerti di Kip Hanrahan tenuti lo scorso agosto a Sant’Anna Arresi al festival 'Ai confini tra Sardegna e Jazz': Conjure, Beautiful Scars e Deep Rumba. Stasera, l'11 dicembre e il 2 gennaio 2013, con inizio alle ore 20.30. Dopo quattordici anni giunge a una svolta, e probabilmente al termine, l'esperienza per molti versi straordinaria di Peter Brötzmann con il Chicago Tentet. Lo annuncia il sassofonista stesso, una riflessione a voce alta fatta pochi giorni fa: "14 years… The Chicago Tentet. That's a long time for a 10/11 piece band. Time to say goodbye? Time to stop? For sure time to think about the future! There are a couple of reasons why I decided to stop it, at least for the moment. The first one is the everlasting critical economic situation, actually with no expectation for better times - we Germans and Americans can't count on support from our cultural departments. The second, much more important, is the music. Hanging together for such a long time - with just a couple of small changes - automatically brings a lot of routine. In general nothing against, you need it sometimes to survive, but if it gets so far that one can't exist without the other - music is over. 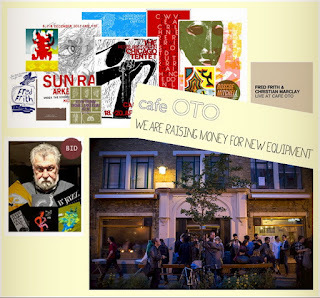 In 2011 with the weekends in London and Wuppertal we have reached the peak of what is possible in improvisation and communication with an immense input from all of us. For my taste it is better to stop on the peak and look around than gliding down in the mediocre fields of 'nothing more to say' bands. 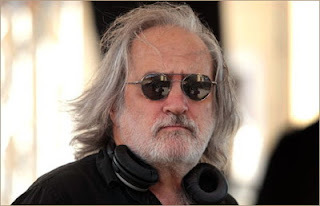 I love to work with larger ensembles and I won't say, 'That's it,' but I need a bit of time to think about some changes, the financial situation is important and in a way the financial situation forms and builds sometimes the music. Who can afford to travel with a quintet nowadays, you see what I mean? I think the next fall will answer the question about the future of a NEW tentet. Tokyo, 17th of November 2012. 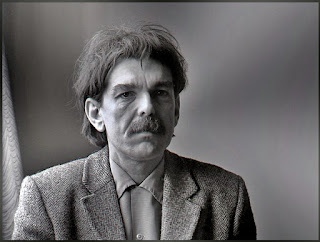 P Brötzmann. WE NEED AGAIN AND AGAIN A MORE ADVENTUROUS SPIRIT”.